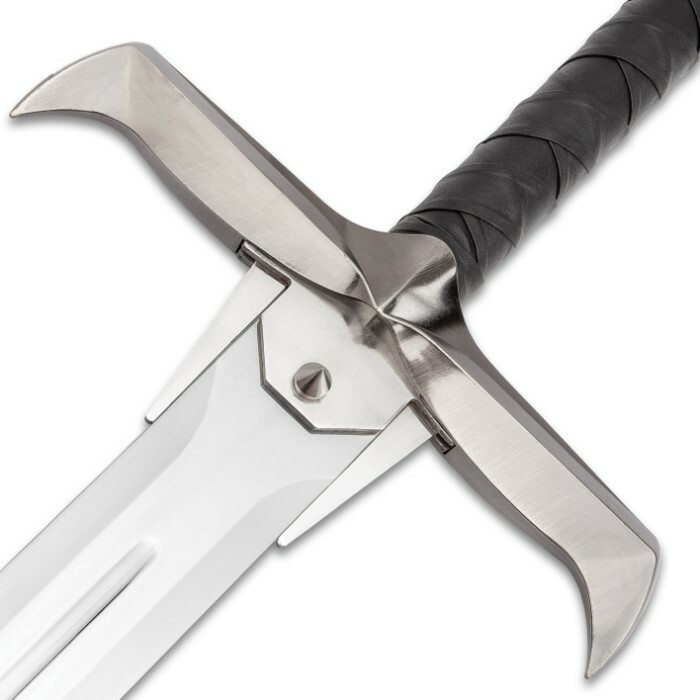 Spiked Sword Of The Highlands And Display Plaque - Stainless Steel Blade, Faux Leather Wrap, Metal Alloy Handle - Length 49 1/2” | BUDK.com - Knives & Swords At The Lowest Prices! 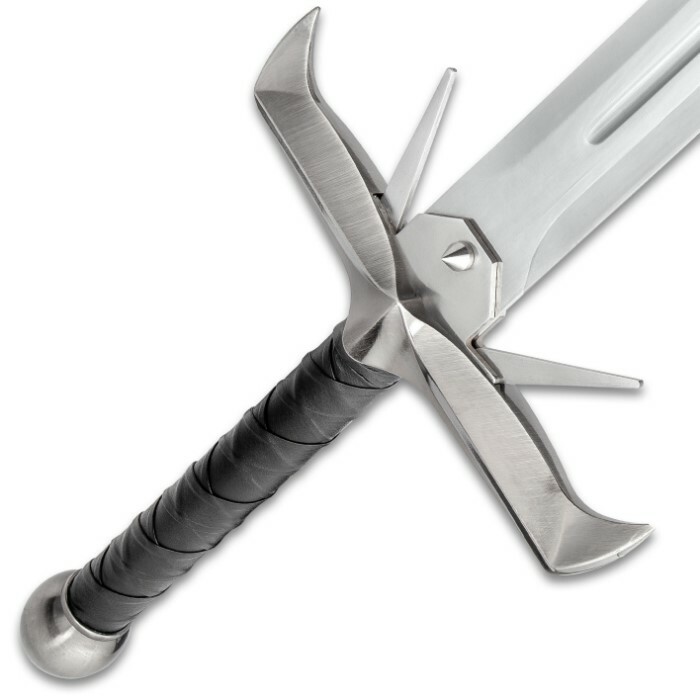 Our massive, two-handed Spiked Sword of the Highlands is an impressive display piece inspired by popular cinema culture. When you raise this fantasy sword in the air, there’s no question that it’s been solidly constructed of high-quality materials. 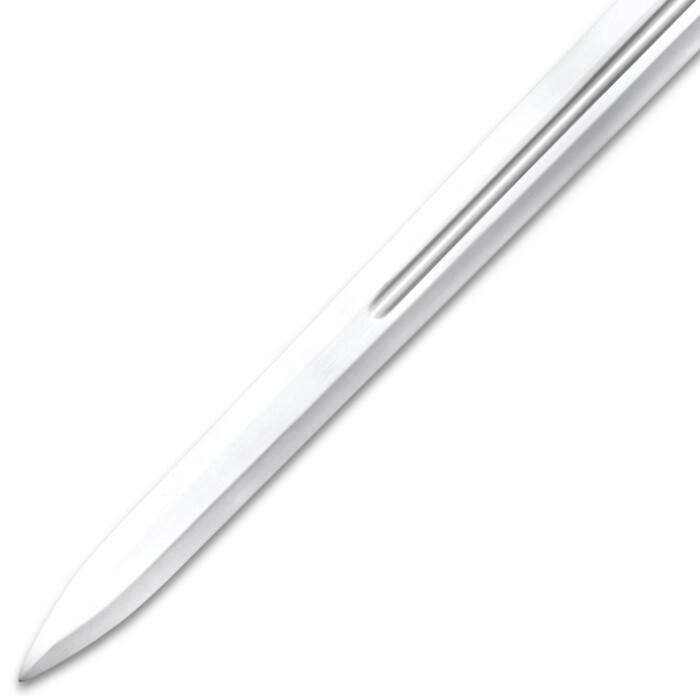 It has a 37 1/2” stainless steel blade with a mirror polished finish featuring a spiked stud on each side of the blade and fold-out blade spikes. 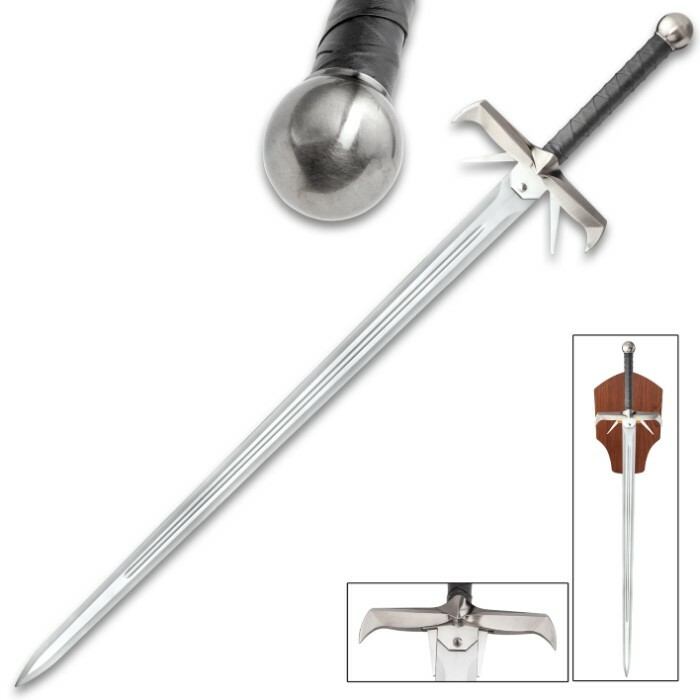 The black faux leather-wrapped handle is crafted of metal alloy and features a large, rounded knob pommel and a hefty handguard. 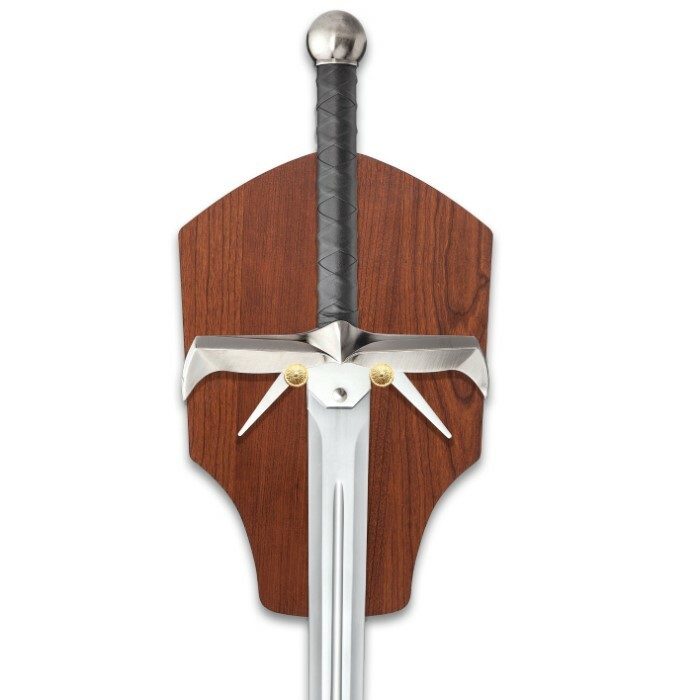 The massive 49 1/2” overall length sword can be displayed on the included premium black wooden display plaque and it will get attention! It’s just a plain work of art! Nuff said!